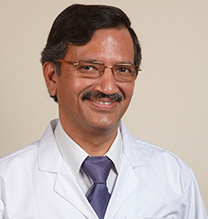 Dr. Rajesh Khullar has joined Max Healthcare in November 2009. Prior to joining Max Healthcare, he worked as a Consultant in the Minimal Access & Bariatric Surgery Centre at Sir Ganga Ram Hospital, New Delhi, India. 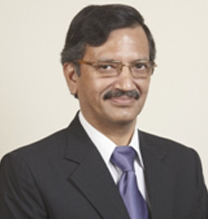 Dr. Khullar holds several important positions like: Vice President (North Zone), Indian Association of Gastrointestinal Endosurgeons (IAGES), Honorary Secretary ï¿½ Hernia Society of India(HSI ) ï¿½ National Chapter of Asia Pacific Hernia Society(APHS) and Treasurer ï¿½ Obesity & Metabolic Surgery Society of India (OSSI). He has co-authored a text book on ï¿½Endohernia Repairï¿½. Dr. Khullar has expertise in compiling, streamlining and editing scientific content of the manual titled ï¿½Minimal Access Surgery-Guidelines & Recommendationsï¿½. Apart from doing minimal access, Hepato-Biliary, GI & Hernia surgeries; he has special interest in Metabolic, Bariatric & Thoracoscopic surgeries. Honorary Secretary– Hernia Society of India – National Chapter of Asia Pacific Hernia Society 2007. Life member of Rajasthan Association of Minimal Access Surgeons (RAMAS). Life member of Society of Endoscopic & Laparoscopic Surgeons of Asia (ELSA), 1997. Life member of Indian Association of Gastrointestinal Endosurgeons (IAGES), 1994. Life member of Delhi Medical Association (DMA). Life member of Association of Gastrointestinal Endo-surgeons, 1991. Life member of Indian Medical Association (IMA), 1989.